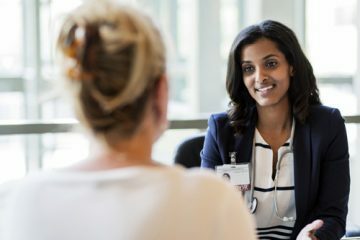 At NewYork-Presbyterian’s Integrative Health and Wellbeing program, specialists help patients heal with stress-reduction methods. When Rose was diagnosed with ductal carcinoma in situ, a noninvasive form of breast cancer, in January 2016, she couldn’t help but feel anxious. In some ways, Rose, 62, says, the treatment, a lumpectomy and 15 rounds of radiation, seemed scarier than the diagnosis. “I was especially worried the radiation might damage my heart,” she explains. 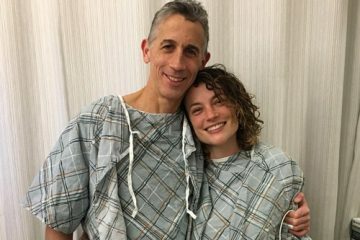 After touring several facilities, she finally found a place, with an integrative health program, that put her at ease: NewYork-Presbyterian Lower Manhattan Cancer Center. There, as at NewYork-Presbyterian Integrative Health and Wellbeing at 211 E. 80th St., Rose could choose from relaxation therapies, such as meditation, massage, hypnosis, Reiki, aromatherapy, Tibetan singing bowls, and acupuncture, intended to ease the stress that can both cause and exacerbate a variety of health conditions. After her treatments, Rose drank organic tea while wearing a cotton, cushy robe, surrounded by the scents of lavender aromatherapy. With the help of Manna Lu-Wong, R.N., an integrative nurse, licensed acupuncturist, and Reiki practitioner, whom she calls her “angel,” Rose’s soreness from the lumpectomy surgery was eased with acupressure and stretching. As she practiced meditation, listening to the soothing sounds of Tibetan singing bowls, she felt her anxiety fading away. “By the time I left there, I felt like I had been at a spa. I had to remind myself I just had radiation, because the team and the atmosphere were so pleasant,” she says. Integrative Health and Wellbeing at NewYork-Presbyterian, in collaboration with Weill Cornell Medicine, helps patients cope with the stress and anxiety that accompany their diagnosis and treatment, whether it be cancer, cardiac issues, gastrointestinal diseases like irritable bowel syndrome or Crohn’s disease, or chronic pain. Stressful situations cause our bodies to release the hormones cortisol and adrenaline, which trigger changes such as a faster heartbeat, sweating, and tensed muscles. It’s part of being human. But if stress is chronic, elevated levels of stress hormones can inhibit the immune system from fighting disease. Stress can be a contributing factor to health conditions such as heart disease, diabetes, and depression. While researchers have found no definitive evidence that stress directly causes cancer, studies suggest that stress can cause tumors to metastasize. Practitioners at Integrative Health and Wellbeing tap a range of techniques, each aiming in its own way to reduce stress and ease symptoms of disease or side effects of treatment. In addition to soothing muscle soreness, massage has been shown in studies to reduce stress in patients with cancer, generalized anxiety disorder, and HIV/AIDS, while meditation and mindfulness training can reduce stress and blood pressure, and the severity of irritable bowel syndrome. The staff at Integrative Health and Wellbeing includes two physicians who are dual-certified in internal medicine and integrative medicine, along with specialists certified or licensed in nutrition, acupuncture, massage, and other services. Some insurance plans cover acupuncture and nutritional counseling; patients pay out-of-pocket for other treatments. After one or two relaxation sessions, Rose no longer dreaded her treatments. Now in good health, she still practices the breathing and meditation techniques that helped her come to terms with her diagnosis and stress. During her treatment, she says, “I wasn’t conscious about what was wrong. I was more conscious about what was right. “My hope is that more people will embrace integrative treatments because they make such a difference,” she says.